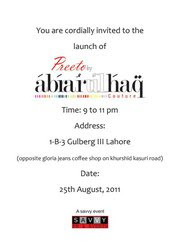 Abrar ul Haq launches his latest collection of pret wear called Preeto and you are cordially invited to the store launch and meet the super star himself. Looking fwd to seeing you all there! !